Among the materials used as a floor covering, we should mention ceramic granite. 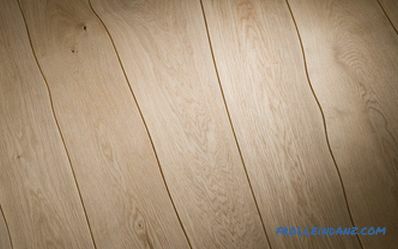 This floor will have good resistance to physical impact, while having an attractive appearance, which makes this finishing option appropriate in many cases. However, it is important to understand that when working with a material it is necessary not only to observe a number of binding rules, but also to have some experience in the production of such actions. In this article we will tell about the independent laying of porcelain stoneware, we will give detailed instructions, as well as photo and video materials. 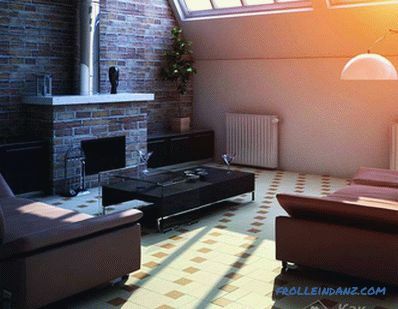 Porcelain stoneware is called artificial finishing material obtained in the process of pressing and subsequent burning of molded blanks, consisting of special mixtures. The composition includes components such as various grades of clay, quartz sand, spar and water. 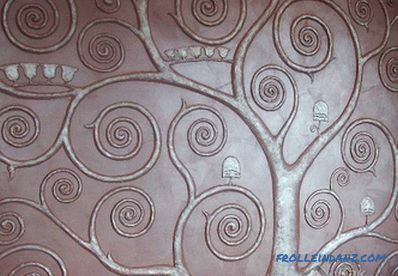 To make the products aesthetic appearance in the tile may include various dyes. Good resistance to moisture. This property allows you to use the material as a finish in rooms with high humidity, as well as during facade works. The material has resistance to chemical elements, and therefore can be used for finishing laboratories, chemical fertilizer warehouses and other premises. Resistance to mechanical stress. This refers to the resistance to abrasion in the case of use as a floor covering, and non-susceptibility to fading, if the material is finished with a facade. Durable use. Due to the combination of the above properties, the porcelain stoneware finish is able to perform its functions for a long time. 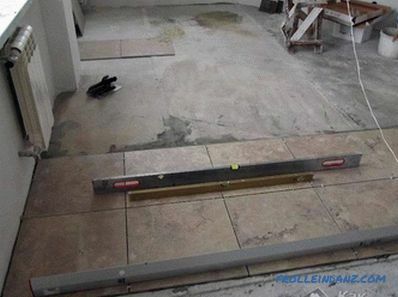 Before you go to the description of laying porcelain stoneware on the floor, it is necessary to consider some general rules in accordance with which the work should be carried out. First you need to prepare the surface. First of all, you must carefully dismantle the old coating. If the tile was laid, then you need to remove all residual adhesive solution. The surface should be as flat and clean as possible, so it should be vacuumed and wet cleaned if necessary. 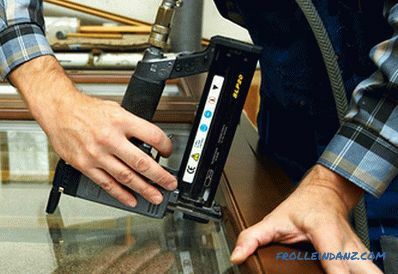 In addition, it is necessary to inspect the surface for mold detection. In the event of a fungal surface lesion, the entire affected area should be removed. That is, with the help of a jackhammer, a piece of the surface is hollowed out and re-filled with the mixture. In the case of laying on a wooden base, you must carefully inspect the logs and fix them. Even the slightest displacement of the base is unacceptable, as this may lead to a violation of the integrity of the coating. The floor should be primed Prior to direct installation, the surface must be coated with a primer. So the adhesion of the adhesive composition will increase, which will positively affect the quality of the coating. If you plan to cover a warm floor, the system must be turned off. It will be possible to use a warm floor only after the glue has completely cured. All work should be carried out in a room with a temperature not lower than 0 ° C and a humidity of no more than 80%, as this may affect the state of the adhesive composition, and therefore cause a deterioration in the quality of the coating. The use of a simple tile adhesive is unacceptable, since in this case the adhesion of the tile will be insufficient. 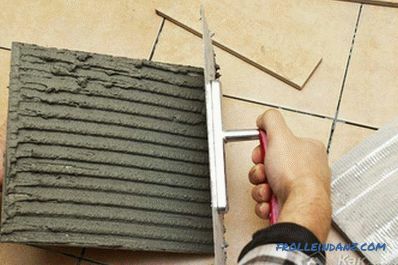 If it is recommended for ceramic tiles pre-soaking in water, in the case of work with porcelain stoneware it does not make sense, due to the low water absorption of the material. Another feature is the correct choice of adhesive used in the installation of the coating. It is obligatory to use only special mixtures that are prepared with the addition of a minimum amount of water compared to conventional tile glue. As in most cases, tile laying work must be divided into several separate stages and carry them out consistently. At the preparation stage, it is necessary to determine the type of ceramic granite used. Among the most common options are technical, glazed, matte, polished and satined material. In addition, the material may vary in size and thickness. At this stage, you must dismantle the old coating and prepare the base in accordance with the above principles of work. Special attention should be paid to leveling the plane. 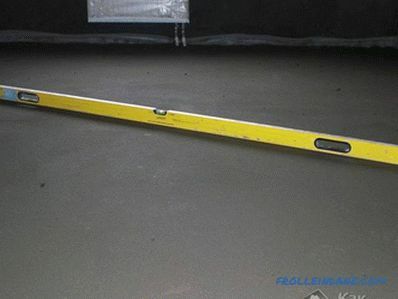 If the surface has significant differences in heights or other defects, then a concrete screed should be made. In addition, you must prepare the glue that is required during installation. It is important to note that the mixture should be prepared in strict accordance with the attached instructions. The use of any third-party additives in this case is unacceptable. It should be noted that the mixture is poured into water, and not vice versa. This common mistake leads to a violation of technology, which will affect the quality of coverage. The solution is kneaded before it acquires a uniform and plastic consistency. After mixing the components, the solution is suitable for use within 2-3 hours. Before work, the surface is also primed with special compounds. 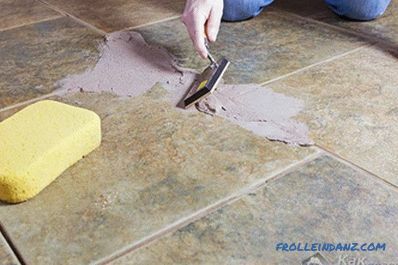 After surface preparation, you can proceed to laying porcelain stoneware. Glue is applied first. It is most convenient to do work with a special spatula with teeth. The thickness of the adhesive layer should be no more than 5 mm. It is not necessary to apply the solution to a large surface area. It is better to limit the area of ​​two or three tiles. So, a layer of glue is applied on which the tile is laid, after which, using a mallet, lightly tapping the tile into the glue. It is important to maintain the horizontal position of the element for which it is appropriate to use the construction level. Next tile is laid next. Works are carried out in a similar way, but for uniform seam between tiles, special plastic crosses are installed. 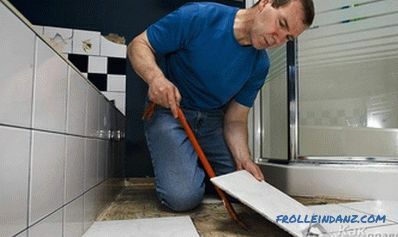 Thus, porcelain tile is laid over the entire surface of the floor. It is important to note that often when placing the extreme elements of the coating, they need to be cut. For these purposes, you should use a special cutter. It will be possible to use the coating only after full hardening of the adhesive composition, which, depending on the brand, can be 1-3 days. 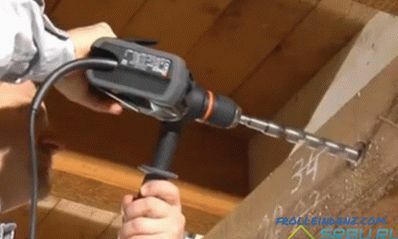 Excess glue, which can tread during the installation process, must be removed immediately, since after solidification this will be much more difficult. 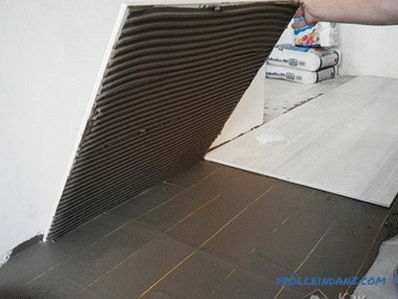 In addition, it should be borne in mind that before the glue hardens, any mechanical impact on the surface is unacceptable, therefore, laying of porcelain stoneware should be carried out, starting from the far corner of the room towards the door. 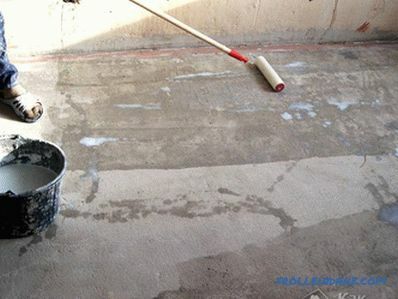 After the glue hardens, it is necessary to wipe the seams with special grout of a suitable color. This is necessary to achieve absolute tightness of the coating. is done. 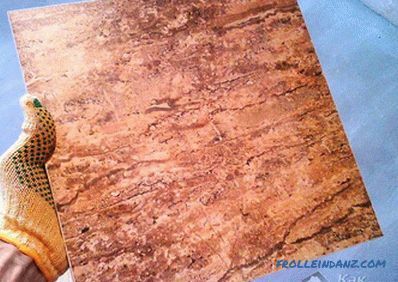 At this description of the main stages of installation of ceramic granite tiles on the floor can be considered complete. As can be seen from the above material, it is quite possible to handle the installation work yourself. 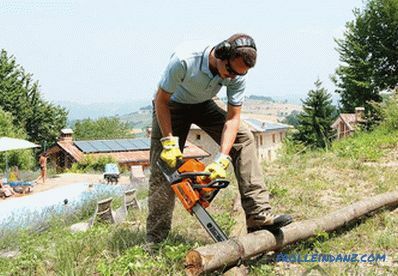 It is important to follow all the necessary rules and to pay attention to the choice of suitable materials and tools. If qualification is not enough, then you can turn to the services of specialists, but even in this case it is better to know the general algorithm of actions for the possibility of control over the actions of workers.